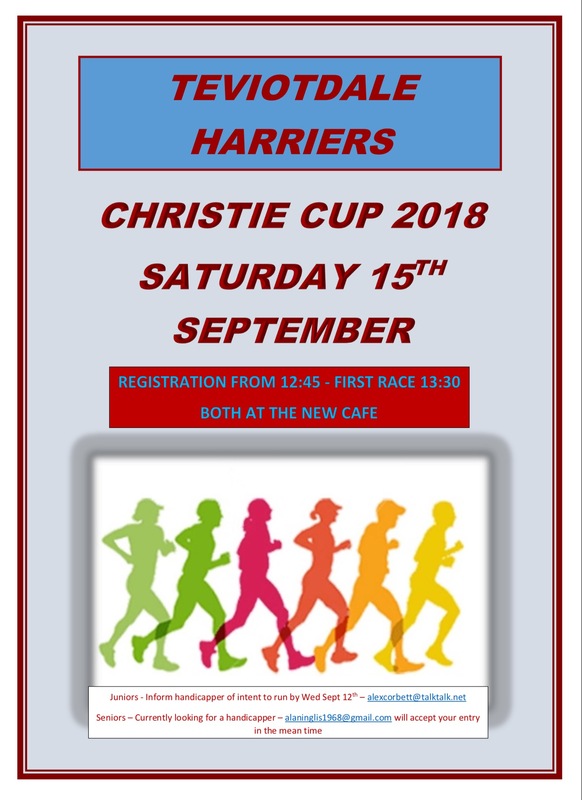 The first club race of the new season is on Saturday, 15th September. Race start and registration is at the new cafe in Wilton lodge Park. Registration from 12:45pm onward with the first race off at 1:30pm prompt. Juniors note – please be ready to warm up at 1:15pm at the latest in order to be ready for the 1.30pm start. To take part you must inform Alex Corbett if you intend running to enable him to compile handicaps for you. If you’re new the handicap system means that in theory everybody has the same chance of wining. If you are a junior you should let Alex know your age as at the 1st September. Entries close Wednesday 12th September. We are looking for a handicapper for the 2018/19 season, if you are interested let me know. If you want to take part in the Christie Cup let me know and I can add your name to the list which will be passed to the new handicapper.